HomeHow to make a decision? Almost everyday in our lives we are confronted with a litany of situations where we have to take decisions to improve our state in one way or the other and/or in some cases we need to take a decision to simply push forward in our lives or there may be scenarios in which our decisions simply mean life or death or it can change the course of your life completely.The question is not about what the situations are but how to take the apt decision for a situation. I will try to solve this conundrum to the extent I can in the next couple of(or may be more) stanzas. 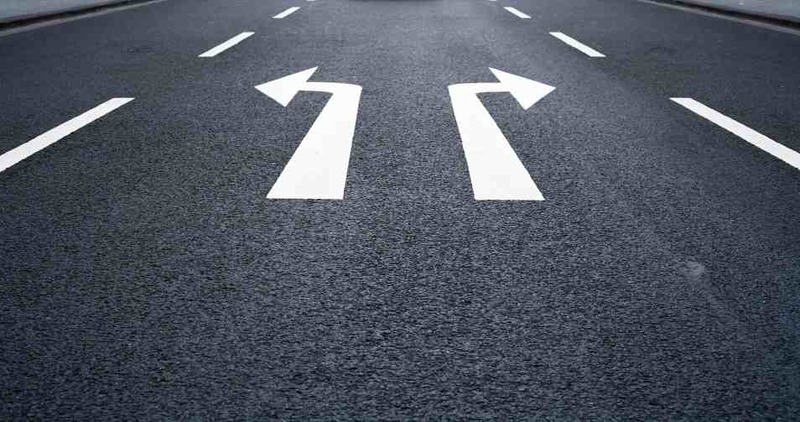 Simple Decision making – Unlike its sound it’s really not simple to take simple decisions,[similar to-to rephrase a cliche “Common sense is dangerously uncommon”]. But the name “simple” is chosen because the answer to such situations is generally yes/no , agree/disagree, accept/reject ,etc . For example tomorrow there is an exam for you and your friend(presumably other college guy who doesn’t have exam tomorrow) invites you for a movie at midnight the answer to it is either a tempting yes or a “categorical No” but your call on it depends on the commitment to the cause and thereby decides the status of your life improvisation . Other common cases where simple decision making plays a pivotal role are :when your friend or colleague offers you a drink or cigarette , when you are asked to eat something that you had previously not eaten, your ‘pleasure-self’ asking for social networking but your brain is suggesting you to study , your mouth and tongue asking for tasty food but your heart is telling you to exercise so that it stays healthy , resisting the urge to comment back , etc . As I already said , the solution to such a situation would be the strength of commitment you have towards your beliefs and causes , so whenever you are in this simple decision making state analyse for yourself whether it is really good for you to do so , whether what you are doing is in accordance with your ethics and customs or not! Complex Decision making – These are situations in which the decisions to which can change your life in a dramatic manner . Some common examples which involve complex decision making are selecting the right job for you, rejecting a girl/boy who cheats you continuously ,career change , whether to set up an enterprise by yourself or not and so on. So how do you take a decision , for example you have got a very high paying job and lots of benefits like job security,bonuses,etc as an engineer which your heart doesn’t like it and also a job as an artist which you love to be with a comparatively and significantly low salary and few benefits . In these cases please do not compare by the values, do not weigh the pros and cons instead add value to the option you love , if you love to paint then it has an infinite value by itself . In complex decision making it is not about comparing values of unequal quantities but rather about adding value. In Conclusion : We crave to improve our lives but very few people really take hard and bold decisions that can really change their lives and the rest live in their cages simply adhering to the conventions, running the never ending “rat race” and these cage dwellers criticize and ridicule the brave and good ones watching them rise to greater heights ! !